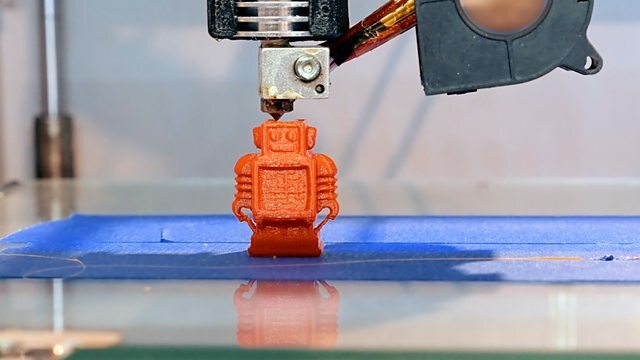 BBC World Service - The Inquiry, Can We Control 3D Printing? Can We Control 3D Printing? It was May 2013 when Cody Wilson went public with his 3D-printed handgun. An online video showed the crude plastic object fixed on top of a tripod. The trigger was pulled from a distance by someone pulling a long piece of string. Since that first successful firing, 3D printed guns and the debate around them has come a long way. The design for Cody Wilson’s plastic firearm, dubbed the ‘Liberator’ has been downloaded from the internet nearly 100,000 times. The US government has tried to block its publication. But is the cat already out of the bag? Does the 3D printing revolution mean that people anywhere can print anything they want, as long as they get their hands on the right design? Can we control 3D printing? Could We See Another Aids Pandemic?